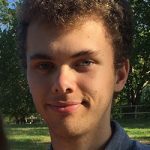 Disability should be perceived as a spectrum, writes 17 year old Hamish Fairlie, who took the floor at the 2018 Power of Speech event on Monday to set the record straight around what deaf people can achieve and to address politicians on the need for government to make hearing health a priority. 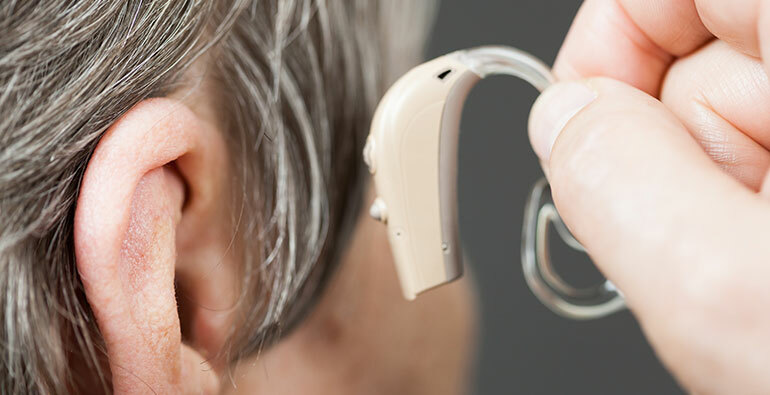 I was born at the turn of the century with a bilateral sensorineural profound hearing loss – which means I can’t hear. Except I can; for all intents and purposes, I am a hearing, speaking member of society who just happens to be totally deaf. While I can read and talk and write, this has come at the great cost of 17 years of constant therapy and rehabilitation, surgery and advocacy, and is not something that I have taken lightly or come into very easily. In a world of uncertainty, we are inclined to pathologize and diagnose everything we can. Every idiosyncrasy has a clinical definition in a medical dictionary – and while this categorical way of thinking is valuable in the world of science and medicine, it encourages, a mindset that can encourage misconceptions around what hearing loss means for those living with it. People tend to view disability as different to “the norm” – the unlucky outcome in the clear-cut binary of typical versus atypical. And while this makes sense scientifically, it does little to raise awareness, empathy and sensitivity to the nuances of disability. Being born profoundly deaf, I have experienced this binary in action. Because of years of speech and auditory therapy, people tend to separate me from my disability and treat me as a total equal. While complimentary, this treatment tends to disregard my requirements as people assume that I’m somehow not actually deaf or my “level” of deafness is inconsequential. People assume that I’m joking when I say I can’t hear them, or they don’t understand how I can miss things when I have cochlear implants and auditory therapy. “You’re not deaf, you can hear me right now!” “You don’t need therapy; I can understand you clear as day!” This is because of a black and white mindset around hearing loss – I don’t fit the traditional definition of a deaf person (ie I can speak and hear) and therefore my disability and my ability can’t be reconciled. Because I can hear, I’ve been told by my peers that I don’t deserve listening provisions for aural exams when I was studying French. They think that because I have the ability to hear, my deafness doesn’t warrant the privilege of being recognised or accommodated. It’s a fair conclusion to make, I think, but one that speaks to stereotypes around disability. People tend to not understand, and view things in a way that rigidly divides disabled and abled. I believe that disability should be perceived as a spectrum, rather than a matter of black and white. Sometimes I can hear, and sometimes I can’t. I’m a speaking, listening deaf person, which defies all stereotypes but represents a small and under-appreciated minority. The fact that I can integrate myself into mainstream society should not invalidate my position as a disabled person, and, conversely, people who cannot integrate should not be viewed only on the grounds of their disabilities. Rather, each and every person should be understood on their own terms and through their own identities. Just as a hearing person should not be defined by their ability to hear, so too should a deaf person not be defined by their inability. While I’ve worked hard to get to where I am, I don’t see this as just my achievement. I see it as the achievement of my countless speech therapists, my audiologists, my itinerant teachers, my school and its support programs, my schoolteachers, The Shepherd Centre, the RIDBC, and my parents most of all (and I’d like to think that I had something to do with it too). J.R.R. Tolkien once said that “we know what we are, but not what we may be”, which is to say that while my hearing loss is something that can never be erased, it is an obstacle that hasn’t stopped me from achieving everything I have. Breaking the mould of the stereotypes that seek to define everyone’s ability is a step closer to understanding us all on a more personal and sensitive level. About the author: Hamish Fairlie is a graduate of The Shepherd Centre, an early intervention therapy provider for deaf and hearing-impaired children in NSW, ACT and Tasmania. He is currently studying for his Higher School Certificate (HSC) and is a guest speaker for the 2018 Power of Speech Event in Canberra. The Power of Speech event celebrates the outcomes possible for cochlear implant recipients and is part of First Voice’s world-leading early intervention programs for children with hearing loss.